Many town planners speak like they’re from another planet. There has been ongoing coverage on the topic of housing supply in Auckland and the effect of this on housing affordability. The government has recently announced a new National Policy Statement on Urban Housing Capacity in response to the growing concerns expressed by commentators and many an aspiring property owner. While most town planning professionals have a view on what the solutions might be, their voices are seldom heard in mainstream media coverage on the topic. I know this causes much frustration in professional circles, but I believe that the professionals need to look at the way they communicate generally. In May 2015 I presented evidence to the Auckland Unitary Plan Independent Hearings Panel. Hundreds of other experts and technical witnesses did as well. There is some excellent (and some abysmally poor) material buried in that information which is completely inaccessible to humans. Sure, you can find it on the hearing panel’s website, but that does not make it accessible. My own evidence for example, was 21 pages long and riddled with the jargon that permeates the resource management profession here in New Zealand. Mine is more readable than most, because I make a conscious effort to explain things simply. If you are up to it, you can read the full version of my evidence by downloading the pdf version from here. My clients (who are human) told me they understood and were happy with my written evidence. But I remain curious about how differently I would have written it if my audience was blog readers rather than lawyers, judges, and resource management professionals. So let’s see how this goes! I hold post graduate qualifications on Land Planning & Development and Spatial Science, and have been working in the planning profession for 22 years. Ten years ago I was responsible for developing the rural parts of the Auckland Regional Growth Strategy dealing with exactly the same problems that have STILL NOT BEEN RESOLVED to this day. Let’s just say that I’m frustratingly experienced on this topic! The council is confused about what “rural production” means. The rules will not do what the council wants them to. 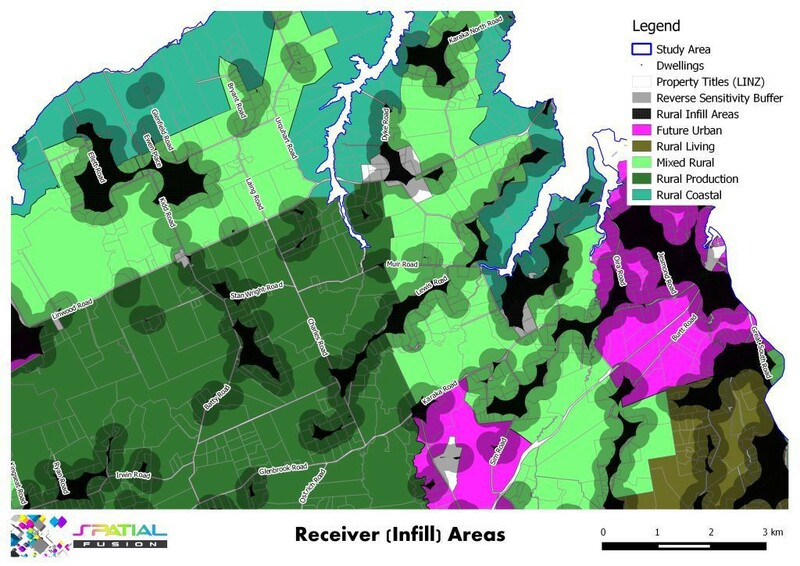 The council needs to provide for “infill” development in rural areas. 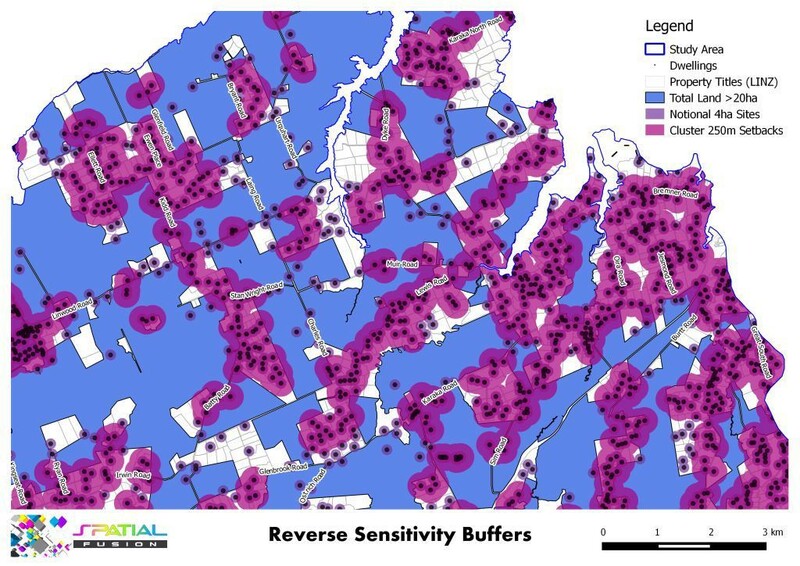 “Reverse sensitivity” is a term that refers to a situation where existing “objectionable” uses that typically produce noise or odours (think quarries and pig farms) are forced to close down by people moving in next to them and then complaining about their effects. Despite the suggested severe risk that these issues have on Auckland’s economy, there is little evidence to prove that this is the case. The argument is further muddied by the Council’s interpretation that “rural” means anything that is “not urban”. The Council’s plan argues that these issues facing rural areas are caused by lifestyle development happening outside the areas Council has set aside for that type of development. These lifestyle zones are said to be strategically located because they are already heavily developed, have lower soil productivity, and are close to existing urban settlements. 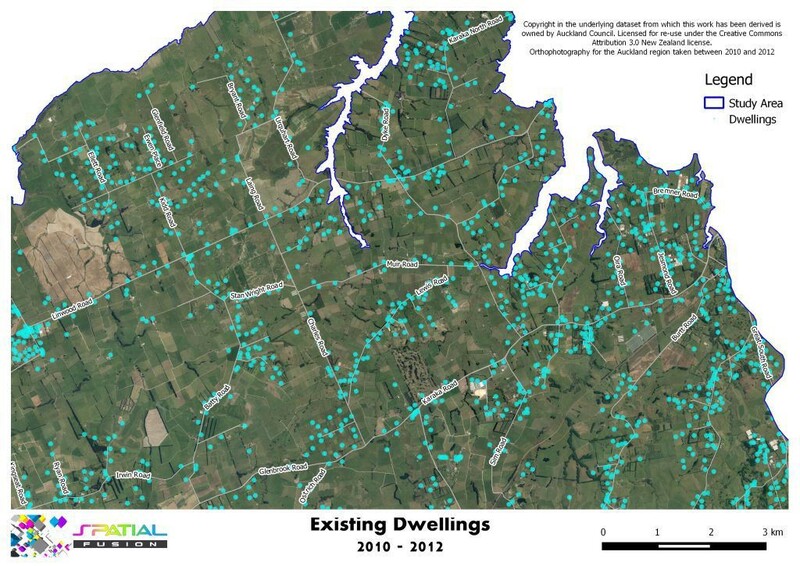 The Council states that there are 20,000 vacant rural sites that could be built on without requiring further subdivision or development consents. It is accepted by the Council that productive farms are almost always made up of several titles. Because of this, the mere sale of vacant titles to individual owners will result in lower land productivity. The Council is attempting to address this by preventing the further subdivision and development of rural properties. It says that it has provided incentives for the building rights that exist on vacant tiles to be “sold” to other land owners in lifestyle zones and urban villages. In other words, to get additional development rights, those owners can pay rural property owners to amalgamate their vacant titles back together again. If the Council provides no supply for housing in rural areas, but people want to build a house in the rural area, what will happen? I expect that those people will look to buy one of the existing 20,000 rural sites that the Council says are currently vacant. Many of these sites by the Council’s own admission form part of productive farms. The Council’s approach is make it more attractive for farmers to sell off their titles to people who want to live in rural areas! 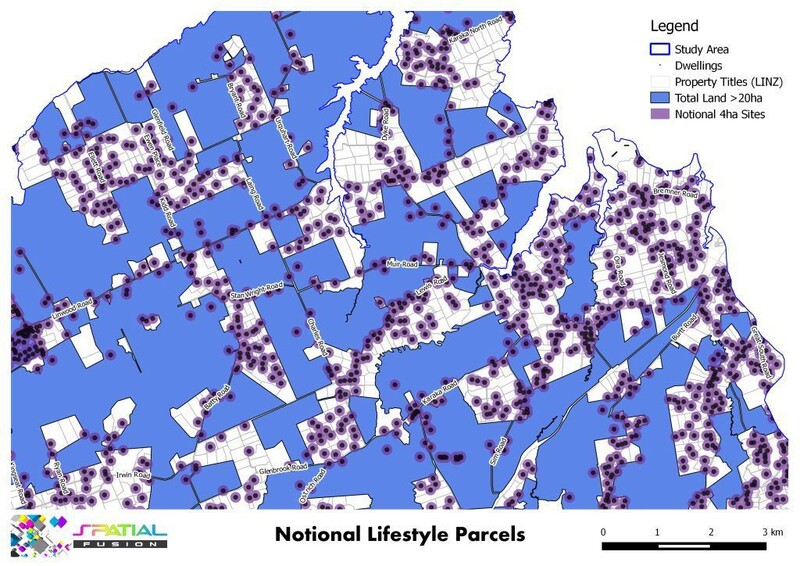 If one takes a look at where the allocated lifestyle zones are located, they take almost no account of the existing topography or settlement patterns. Some areas zoned as “rural production” are already developed to a density of around 1 dwelling per hectare. 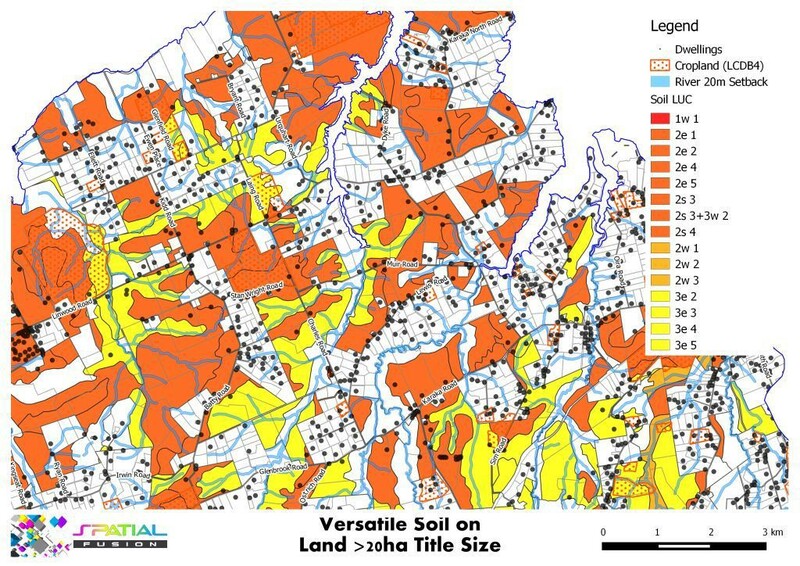 In other areas, “lifestyle zones” are currently rolling pasture on some of the region’s most elite soils. It is quite apparent that the Council has coloured in their maps wrong. Council should put away the ruler it used to draw the zones, and use their building data instead. With this in mind, I suggest that the Council start over with colouring their planning maps and zonings. They also need to re-think their subdivision rules. Although rather than just suggesting it, I decided to do it for them. 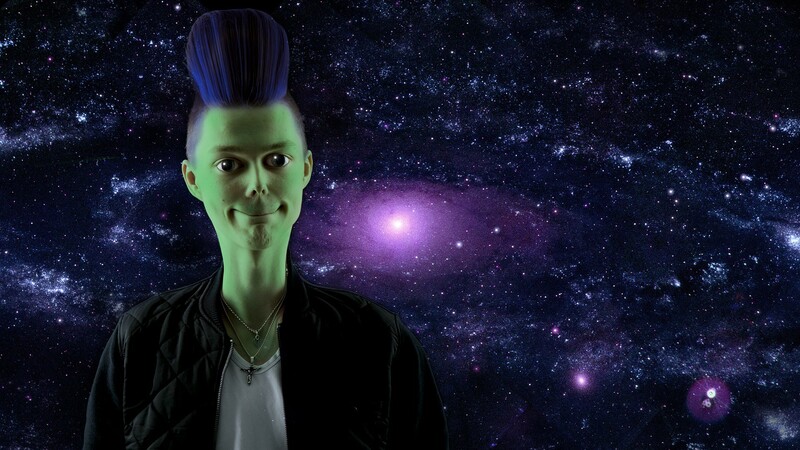 Here’s what I have done. Start with an aerial photo of the region, and plot the locations of existing dwellings. If the Council doesn’t have that information, electricity companies generally have the GPS locations of their power meters. If they don’t want to share that data, I have found that the electoral address data is sufficiently accurate at a regional scale for this purpose. By overlaying the land parcel data, all of the rural properties (which historically have been defined as sites larger than 20ha) can be selected. 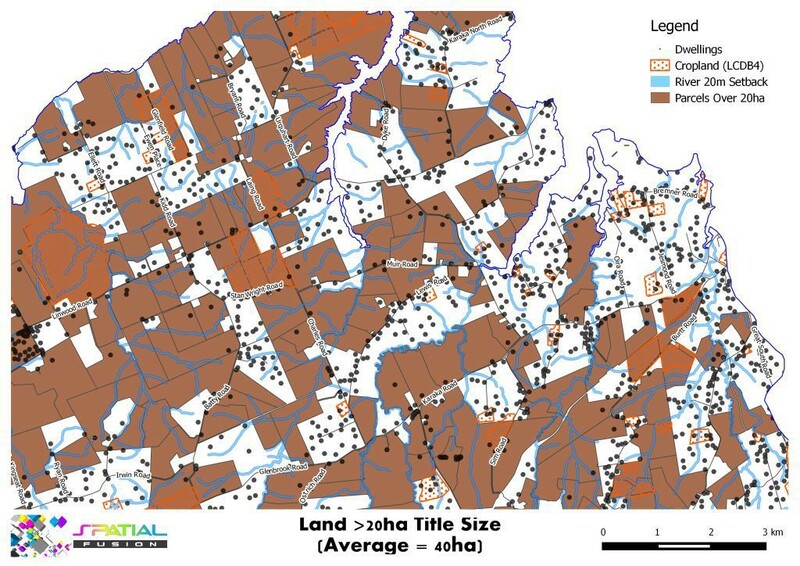 To provide further evidence of rural land uses, I selected all areas used as “cropland” in the Ministry for the Environment’s Land Cover Database. Land parcels greater than 20 hectares in size. 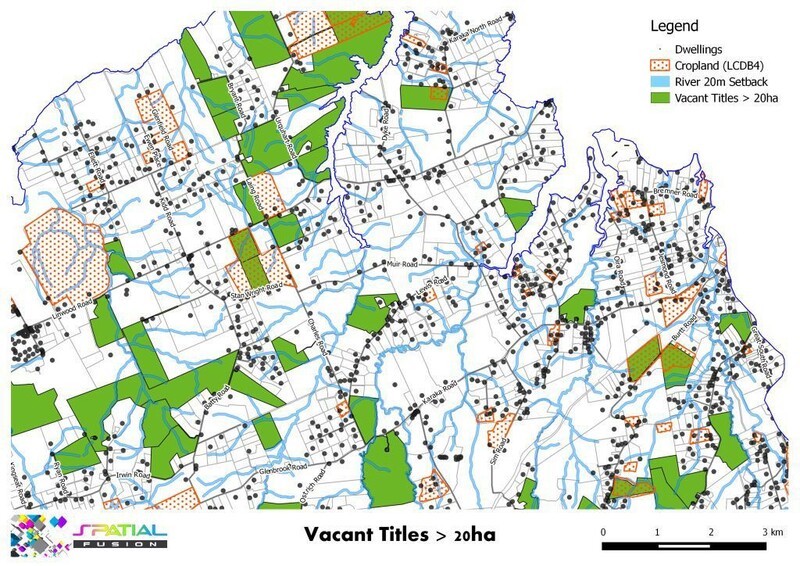 Further overlays can be applied taking into account soil quality, and the presence of rivers and their margins which should be protected from farming activities. A colour gradient can be used to illustrate those areas of the region that are best for growing food. These are the areas that should be preserved if we are to tick off outcome number one, so subdivision and development in these areas should be restricted. Highlights showing large properties with good soil for growing food. Outcome number 2 was to keep rural areas looking rural. To keep the density of dwellings similar to what already exists, we need to turn back to look at the existing development patterns again. To get a sense of this, I worked out the density of buildings in the “productive” areas (being the sites over 20 hectares). Divide the total area by the total number of houses and you get one dwelling per 41 hectares. In rural productive areas you will find only one house for every 41 hectares of land. While I had this data at my fingertips, I also decided to run a quick check of the “20,000 vacant parcels” figure that the Council was relying on. By selecting all the parcels that didn’t have a dwelling on them, I found there were about 100 vacant sites in my sample area. As I had expected, they were of a size and in locations that you would certainly not be wanting to encourage more houses. The third outcome sought by the Auckland Unitary Plan is to make sure lifestyle owners don’t complain about the farmer next door. To map the “sphere of influence” of existing lifestyle areas, I drew a 112m radius (4 hectare area / 10 acre block) around existing dwellings. Where three or more of these 4 hectare circles overlap, that “cluster” generally has more of a lifestyle character than a rural one. The protections (or rules) should be different in these areas to what is allowed in production areas. To make sure that agricultural practices do not impact of houses, animal pens and effluent ponds are required to be 250 metres away from any houses on neighbouring sites. These 250m setbacks can be mapped. The resulting map shows the areas of productive land (in blue) that should be kept free of housing or subdivisions. The cloud shaped magenta colours show those areas that have a lifestyle character. From this map it is possible to highlight all the land where it is possible to build further away from farming activities than any existing house. 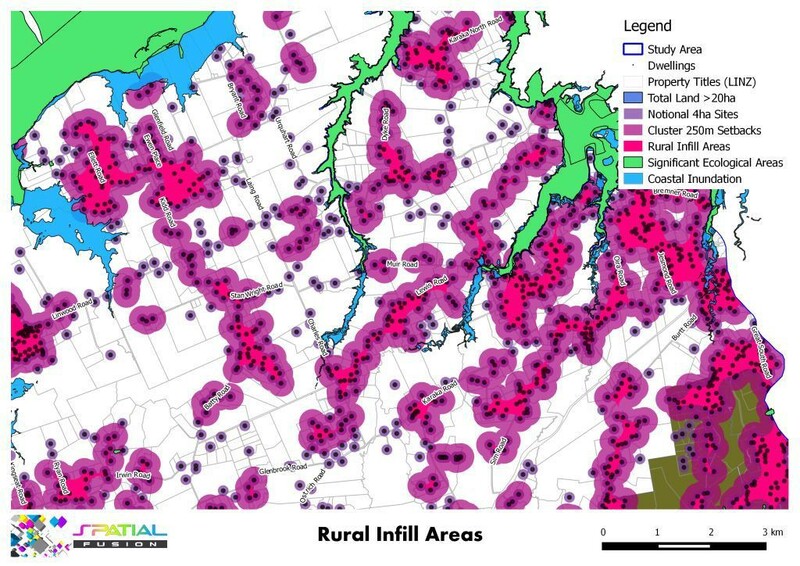 These are the areas I call “rural infill” where lifestylers are separated from farmers. 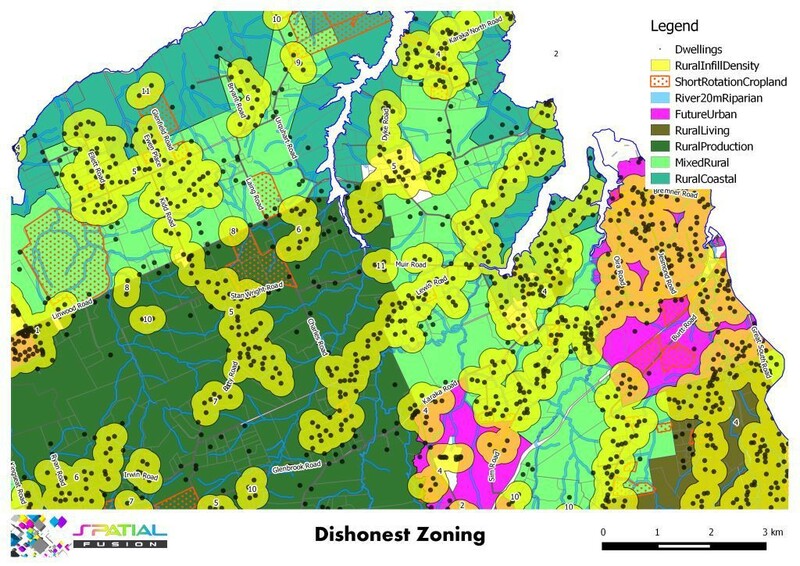 For the sake of completeness, I also mapped other areas where housing development should be avoided, such as coastal hazards and ecologically sensitive areas, quarries, or outstanding landscape features. It turns out that it is possible to deal with the issues facing rural Auckland without messing up outcomes the Council is seeking. By using open data and a bit of common sense, the answer is surprisingly simple. It’s a pity that Council’s ruler seems to have gotten in the way of a great solution.